A down-on-his-luck Hitler, now working as a private detective in London, searches for a missing Jewish girl in this wild, noir-infused alternative history. The book manages to provide both the guilty pleasures of a fast-paced violent pulp and the more thoughtful moral depth of a genuine engagement with what the camps meant ... Like Tarantino, Tidhar may find that some people don't take him seriously. But the joke's on them. Seriousness is the least of it: A Man Lies Dreaming is a twisted masterpiece. Despite its dark subject, Man Lies Dreaming can be very funny, as in a scene where Wolf runs into Leni Riefenstahl, who is starring in an unlikely sequel to The Great Gatsby. 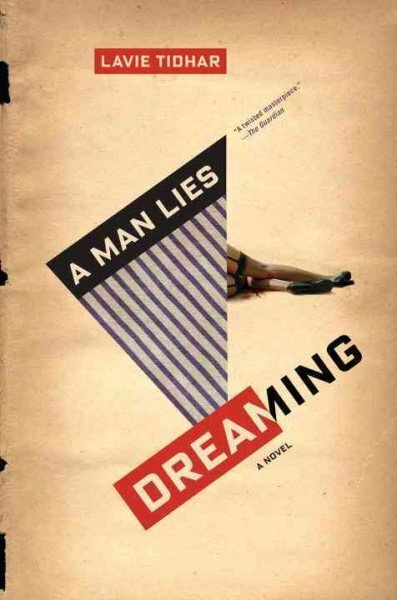 It is also remarkably poignant ... Set during the election of a demagogue who battens on the fears of an underemployed populace threatened by thousands of foreign-born refugees, A Man Lies Dreaming feels disturbingly prescient. Tidhar holds up a mirror not just to Wolf, but to ourselves. It would be easy to dismiss this novel, which comes bearing high praise from British reviewers, as an affront to good taste, but that would be to play into its hands. Better, it seems to me, to say that there is something too easy about its provocations, too unearned about its shock effects. [Tidhar] certainly knows his Holocaust, but the uses to which he has put his knowledge are of questionable value, suggestive of little that is enlightening about that catastrophe or the mad genius who set it in motion. What did you think of A Man Lies Dreaming?